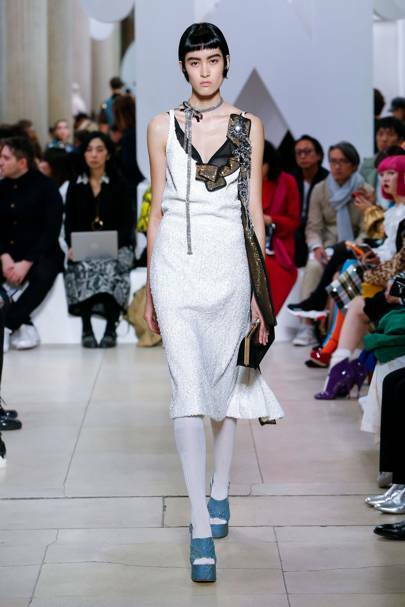 Another live stream runway show I had the pleasure of viewing was the Miu Miu Spring/Summer '19 show live from Paris Fashion Week. A highlight included looks from the red carpet as worn by famous models, actresses and digital influences, such as Australia's very own Margaret Zhang. Another highlight included seeing the image projection of models onto the new Miu Miu logo. Although, seemingly "out there", it was a very interesting and exciting way to begin the show. I loved the bow details as seen on blouses, headbands, eyewear and shoes. 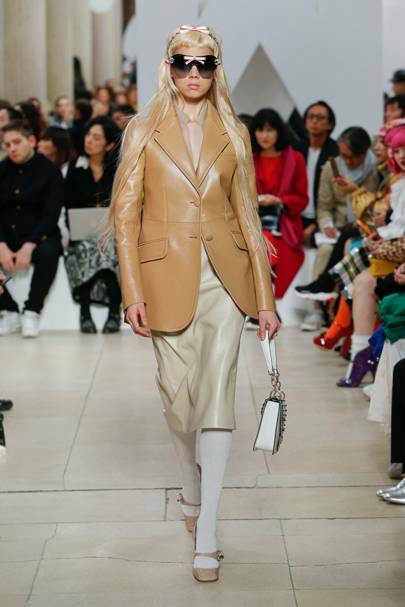 Tailored blazers and coats from an array of luxe fabrics were seen in the majority of looks from the collection. The new Spring/Summer '19 Miu Miu collecion captures the very essence of the brand: feminine, chic and girly. Lots of sparkles, glitter and crystals featured in the new collection, an element that has become Miu Miu's signature. I couldn't help but capture tiny hints reminiscent of the 1920s "Flapper Girl" Era, with fringing used and exaggerated floral accents. Silhouettes were a combination of flirty and structured. It was hard to choose my favourite looks, but I managed to somehow get these down to my top 5. Phew! What's your favourite look from the collection? Enjoy the rest of the weekend! Next week, I'm back to work after a lovely two week's off.